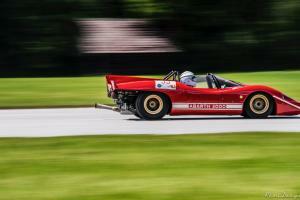 The Italian racing car maker was reborn 10 years ago and outstripped all the major names during the post-war boom. An adventure recounted through 22 models taken from Englebert Möll's magnificent Swiss collection. When it comes to wizards with mechanics, France had Amédée Gordini. Italy had Carlo Abarth. He was born Karl, during the time of the Austro-Hungarian Empire. On 15 November 1908, Dora Taussig, heir to a textiles company, gave birth to a baby boy with a strong character. As a teenager, he showed a strong interest in mechanics, particularly everything to do with motorcycles. Initially, he worked for Castagna & C in Vienna, but then his career path changed when he joined the Motor Thun workshop (run by Count Thun). This workshop raced motorcycles in prestigious events. Then in April 1928, when one of its drivers defected, he found himself competing in Austria's motorcycle grand prix. He raced the fastest time in the free trials and the qualifying heats: Karl had entered the big boys’ playground. He lost the race because of a mechanical incident. But he still had victory in his sights. He then went to work for Degean in 1928 and won his first major victory on 29 July 1928, driving a Grindlay-Peerless. The following year, Karl became an official pilot at James, and then DKW. He continued racing until 4 May 1930, but then had to abandon motorbike racing for two years after a serious accident. He returned to racing with a sidecar that he had designed himself. In 1933, he won the Casque d’Or in Munich. His reputation extended well beyond Austria: he managed to win a wager that he could beat the Orient Express on the Vienna-to-Ostend stretch. In 1938, he was asked to race for Italy – the birthplace of his own father who had come back to live in Merano, in the Trentino. Then just as war was once again breaking out in Europe, Carlo was in a racing car accident in Ljubljana. He was to remain there until the war was over. After World War II, he joined his father in Italy and settled there. In 1946, Ferry Porsche asked him to represent Stuttgart's prestigious Porsche Konstruktionen agency in Italy. With the help of engineer Rudolf Hruska, Abarth once again found himself centre stage, entering into an agreement between Porsche and Piero Dusio (founder of Cisitalia) to design a single-seater car with a centrally-mounted engine. Then once the Type 360 was finished, Piero Dusio emigrated to Argentina after Cisitalia went bankrupt. 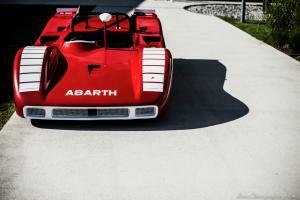 Carlo Abarth was once again free to continue his own adventure under a new identity. On 31 March 1949, a Bologna notary registered a partnership between Carlo Abarth and Armando Scagliarini. Thus was born Abarth & C. Then on 17 June, a subsidiary of the company established its headquarters at 10, Via Trecate in Turin. As compensation from his former employer, Carlo left with five Cisitalias that he went on to modify and then race under the Abarth name. To mark the birth of the new company, they were given a coat of arms featuring a stylised scorpion on a yellow and red background. As well as designing and racing race cars, Abarth also became involved in manufacturing accessories to improve the performance of mass-distribution cars. The Italian craftsman thus became well-known for his steering wheel-mounted gear-change systems, intake manifolds and special exhaust pipes. His Cisitalias which he had transformed into Abarths took part in the 1950 Mille Miglia open-road endurance race, resulting in a fifth-place finish overall. Then the 1950 Turin motor show served as a launch pad for the first fully-fledged Abarth – a Type 204 A Berlinette Monza Vignale (derivated from Cisitalia 204type) – while celebrated champion Tazio Nuvolari sung the praises of the young company in adverts. Bertone, Ghia, Boano, Michelotti, Pininfarina, Vignale and Zagato – the finest Italian coachbuilders – contributed their craftsmanship to Abarth vehicles. Although Fiat provided most of the fundamental mechanics used in the vehicles, Abarth also had dealings with Alfa Romeo, Simca and Renault. 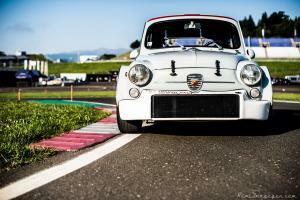 A new milestone was reached in 1956 with the launch of the Fiat-Abarth 750 GT. That year, to demonstrate that his models could easily vie with competitor cars in terms of reliability and safety, Abarth embarked on a speed record campaign. The result was a clutch of success stories. 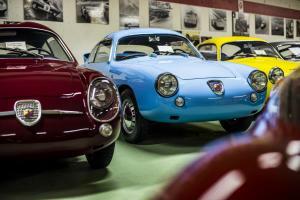 In 1959, Abarth employed 200 people. Its growth continued unabated throughout the 1960s. Operating throughout the automotive sector, Abarth was even tasked with building the Porsche 356 B 1600 Carrera GTL, designed by Franco Scaglione. Starting in 1962, Abarth's relationship with Simca – Fiat's French cousin – resulted in a series of extremely high-performance berlinettes. At the same time, the Fiat Cinquecentos that had been converted into Abarths were often found among the leading vehicles in touring car championships. The lightness and agility of these cars also proved highly successful in the European Mountain Championships. 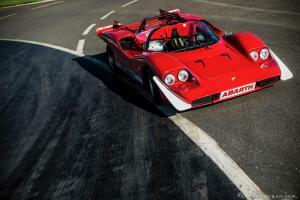 The crowning point came in 1967 when the Abarth OT 1300 won the Division 1 World Championships. That year also saw the unveiling of the Fiat-Abarth 6000 Prototipo Le Mans (140 type) – an endurance machine powered by a 610 hp 6 L V12 engine. Changes in regulations meant the end of this project, and subsequent prototypes were fitted with 3 L V8 engines. In 1962, Bruce McLaren gets its first victory in GT. Between 1962 and 1967, Abarth won 6 world championship in first division GT. Abarth was not spared from the economic slowdown that was affecting Italy's economy. On 15 October 1971, Fiat announced that it was buying out Abarth. A few Abarth cars continued to compete, but as part of a rationalisation initiative, the company became the Fiat group's competition arm, as well as coming to represent its sports model label. Just as the 131 Abarth cars were winning all the rallies, Carlo Abarth died on 24 October 1979 at his home in Vienna. 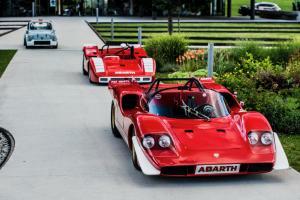 In 1981, Abarth & C. ceased to exist within the Fiat Group. Then at the end of 1986, the discontinuation of Lancia’s endurance and rally sports programmes signified the hibernation of most of Abarth's activities. It was not until the 2007 Geneva motor show that the Abarth name was reborn. During the last 50 years swiss born Engelbert Möll has created this unique Abarth collection after he was forced to abandon his promising early racing career due to a terrible accident on Solitude in 1963. 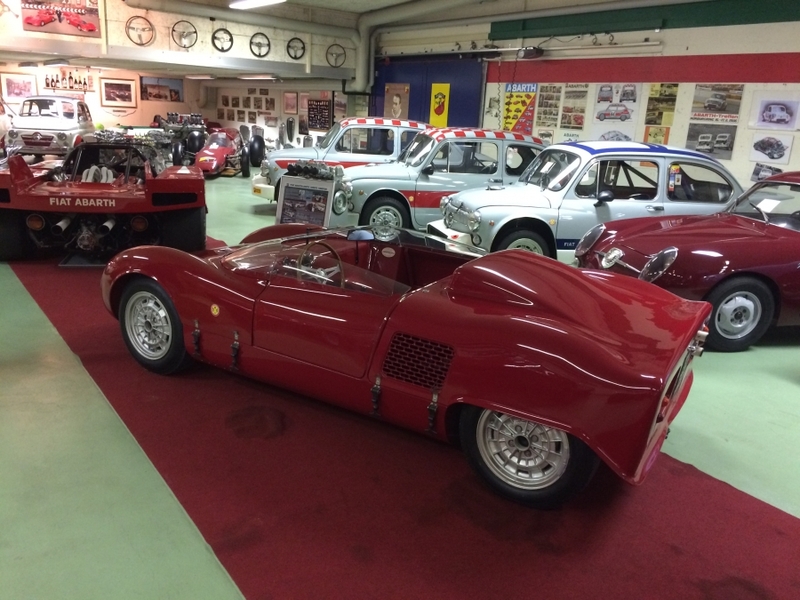 Its Engelbert Möll´s merit having built up and preserved this unique time capsule consisting of all important Abarth race cars from the fifties until the early seventies.